Big, savory, delicious and organic to boot! 50% Cabernet Sauvignon and 50% Malbec from Maipo Valley, Chile. 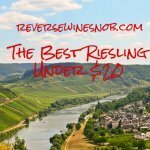 SRP of $18 and should be available for as low as $14 once distribution ramps up. Sample submitted for review. “De Martino, reinventing Chile, creating wines that are a true reflection of their origin. The ‘Legado’ range offers the best representation of a specific grape variety from the most outstanding and innovative Chilean wine producing valleys. The grapes produced for this original Chilean red blend originate from the De Martino family’s organically farmed and certified vineyard in Isla de Maipo, on an old alluvial terrace of the River Maipo and in ideal climatic conditions. The organic farming practiced in our vineyard is a reflection of our premium work philosophy. Deep ruby red in color, this wine explodes with dark fruit aromas. 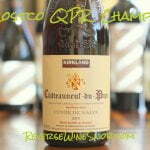 The palate is well-balanced and elegant, full-bodied and with a very pleasant finish. Yesterday we reviewed the three new Estate Organic wines from De Martino, and came away impressed: De Martino Estate Wines From Chile – Organically Good . Just like those three wines, the Legado Cabernet/Malbec also uses organic grapes and follows winemaker Marcelo Retamal’s relentless quest to find the optimal location for each variety to grow. Just witness the fact that he has made wine in over 350 vineyards across the entire length of Chile! It is also not often you see the two delicious Bordeaux varieties Malbec and Cabernet Sauvignon combined in equal proportions, especially outside of Argentina. 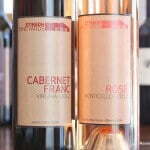 I believe we’ve only reviewed one other wine with a similar blend, a 60/40 Malbec/Cabernet Sauvignon from Argentina. And just like that wine, today’s wine is quite delicious. It makes me wonder why we don’t see this blend more often. 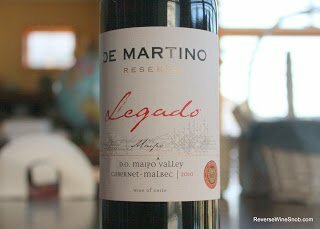 The 2010 De Martino Legado Reserva Cabernet Sauvignon Malbec needs some time to open up, but when it does you are greeted with very enticing, almost seductive aromas of dark berries and a little licorice. 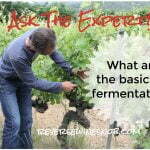 The wine tastes velvety smooth with dry, grippy tannins. 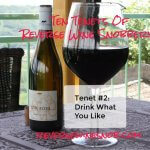 There’s lots of savory dark fruit that’s a bit on the tart side. It finishes with good length and some lingering tobacco notes. 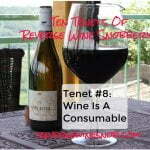 A big, savory and delicious wine!